Are you tired of watching other tutors get another student, while you net zero? Have you caught yourself saying that there aren't enough hours in the day? Maybe you have even said that you don't have time to follow your passion and start an online tutoring business because you have bills to pay. What if I told you there was a solution? Sometimes, it's not about doing more, it's about working smarter, delegating where necessary, and focusing on doing the right things in the right order. I personally feel connected with every tutor that tells me they are struggling with their business and getting students. I was in this exact position in 2010 and today I not only have a booked solid tutoring business, but I teach people the skills to be able to do the same exact thing for themselves. In this challenge you are going to get to focus on the important things and be guided in how to get the results that you always wanted. The real question is, are you ready for the challenge? If so, then click buy now and join us for just $10. A well thought out challenge puts people into action. And there, of course, is the magic word-ACTION! Without massive action, you cannot change your life for the better. You will be like the proverbial hamster on a wheel, going around in endless circles. For the next 21 days, you can take action on one of the hacks contained in challenge. There will be “Action Steps” to follow after each day, to get you moving in the proper direction. You can access the challenge in one of two ways. By logging in each day into Kajabi or by opening your email. And, I promise it will not take a lot of TIME to complete each day's task. 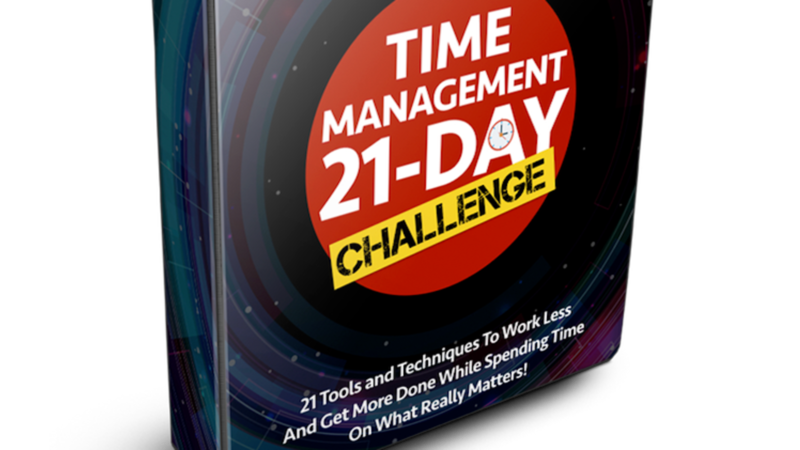 Are you ready to become a master of time management? I can hear you shouting, “Yes, I am.” Then join me as we head out on this journey to find more hours in your day.